The reform initiated by the Health Ministry does not imply the introduction of fee-for-service medicine, although it envisages a new approach to financing of medical services by the state, Minister Alexander Kvitashvili has said. "The reform does not foresee the introduction of fee-for-service medicine, but it includes a new approach to the financing of medical services by the state. This would allow for planning financing of a concrete medical institution in the right way, taking into account the number of services it provided to patients. Only patients when selecting an institution would decide where to pay," he said at a press conference in Kyiv on Monday, commenting on a package of draft laws Nos. 2309, 2310 and 2311 drawn up by the ministry and submitted to the parliament last week. 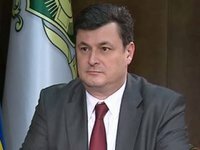 Kvitashvili said that the bills establish the relaxed procedure for reorganizing medical institutions form budget-funded to state-run and municipal institutions and offers financial and other incentives for the reorganization. In addition, the initiatives of the Health Ministry foresee that funds that medical institutions did not use for the previous year will not be returned to the national budget, but they could be used next year and for the transition period and state and municipal clinics should be exempted from paying a part of profit to the budget. "This is very important, as the change of the organization and legal form of medical institution would allow each hospital to distribute budget money itself and legally generate additional revenue and send the funds to the development of hospitals. This would also allow the launching the medical service tariffing [sic] process on the basis of clinical protocols," Kvitashvili said. The changes should be enforced not to introduce fee-for-service medicine, but to understand the cost of medical services, the minister said.